1. Indiana- Assuming Cody Zeller and Christian Watford return to Bloomington for another hurrah, the Hoosiers projected crunch-time five – Hulls, Oladipo, Sheehey, Watford and Zeller – will be the most versatile and talented the nation has to offer. Tom Crean also added a star-studded recruiting class bolstered by point guard Yogi Ferrell. I’d say the rebuild is officially complete. 2. Louisville- Rick Pitino will likely only lose seniors Kyle Kuric and Chris Smith, meaning his three most indispensable cogs – point guard Peyton Siva, center Gorgui Dieng and explosive scorer Russ Smith – are all back in the fold. The Cardinals also tout emerging star Chane Behanan in the post and will receive a full season from talented sophomore Wayne Blackshear. 3. 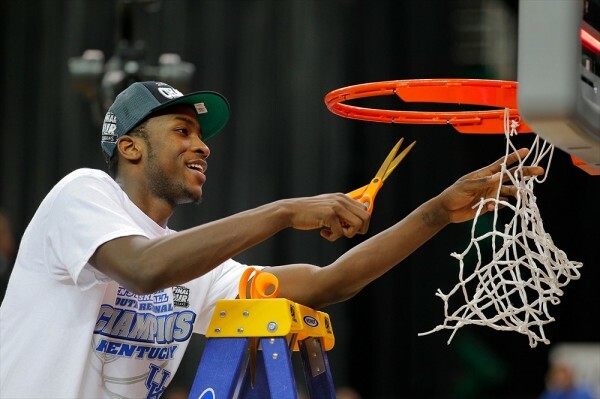 Kentucky- Assuming Marquis Teague is John Calipari’s first returning point guard since before Derrick Rose, the ‘Cats could put together another title run. Doron Lamb may also return to form a sharp-shooting tandem with pick-and-pop threat Kyle Wiltjer. It’s fair to assume that Calipari convinces one or both of Shabazz Muhammed and Nerlens Noel to join Archie Goodwin and Alex Poythress in his latest star-studded rookie class. 4. Florida– While it appears projected lottery pick Brad Beal may be headed out the door, Patric Young has given every inclination he’ll return for his junior season. Billy Donovan will once again spread the floor around Young with point guard Scottie Wilbekin, scorers Kenny Boynton and Mike Rosario, plus versatile forward Erik Murphy. Solid post defender Will Yeguete and incoming point guard Braxton Ogbueze could also be key components. 5. Ohio State– Jared Sullinger is likely history, as is senior Will Buford. But nearly every other contributor should return, including the best duo of backcourt defenders in the country in Aaron Craft and Lenzelle Smith. DeShaun Thomas is a candidate to lead the Big Ten in scoring and garner All-American consideration, while Amir Williams and Evan Ravenel will be expected to take on a much larger role down low. 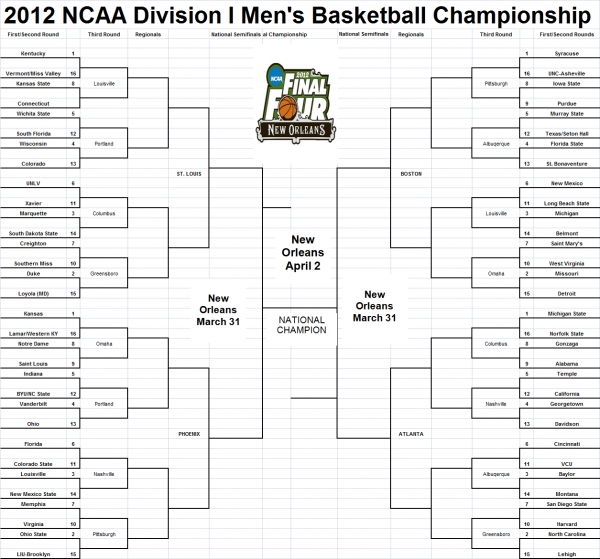 Zach Hayes is an editor, contributor and bracketologist for Rush the Court. 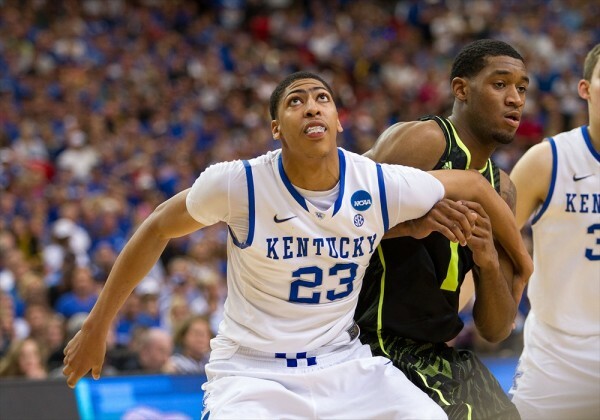 You can read his Louisville-Kentucky breakdown here. It was clear from the first game of the season that everyone’s favorite breakout player, Kansas’ Thomas Robinson, was going to live up to the hype. At the same time, Ohio State’s Jared Sullinger, a first team All-American as a freshman and preseason All-American as a sophomore, was widely viewed as the premier big man in the country. It only took a quick glance at the calendar for December 10 to stand out: Ohio State at Kansas. Or more accurately: Sullinger at Robinson. Unfortunately, Sullinger’s body would spoil all our fun. The Buckeyes’ leading scorer sat out the visit to Allen Fieldhouse with painful back spasms and Ohio State limped to an 11-point loss. Barring a freak accident in the next three-plus days, the Ohio State-Kansas sequel won’t lack one of its biggest stars. Sullinger is healthy and Robinson is ready, two exceptional talents and future lottery picks banging bodies in the post with a trip to the sport’s brightest stage on the line: Monday night at the Final Four. Of course, Ohio State-Kansas is about much more than two players. It’s about Tyshawn Taylor trying to take Aaron Craft off the dribble. It’s about Travis Releford chasing William Buford all over the floor. It’s about Bill Self and Thad Matta matching wits on the sidelines. Heck, I’m sure Jeff Withey will be matched up with Sullinger for a good portion of Saturday’s game. Louisville-Kentucky may be the Final Four main event, but you may want to stick around for the after party. Sullinger and Robinson will finally go toe-to-toe. Oh, and it's at the Final Four. Backcourt- The much-maligned Tyshawn Taylor posted a redemptive senior season, staying out of Bill Self’s doghouse, limiting turnovers and shooting a robust 39 percent from three. Taylor is a tough cover due to his blazing speed, swift crossover and irrepressible confidence, a characteristic never more evident than when Taylor pulled up for a 3-on-1 three-pointer late in Kansas’ Elite Eight win over North Carolina despite the fact he hadn’t made a shot from behind the arc in the entire tournament. 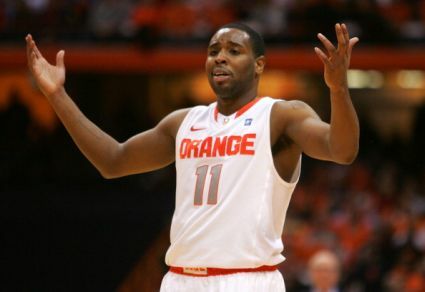 His running mate is the much-improved Elijah Johnson, a bit player turned double-digit scorer and clutch shot-maker. We might be talking about Robbie Hummel’s unprecedented run to the Final Four if Johnson didn’t bail out the Jayhawks during a Robinson/Taylor no-show in Kansas’ second-round escape against Purdue. Travis Releford is Bill Self’s go-to perimeter defender. He’ll receive the challenging task of chasing William Buford around screens for 40 minutes. Buford underachieved relative to inflated expectations this season, coming off an extremely efficient junior campaign, but ask Michigan State if he’s capable of exploding at any moment. Lenzelle Smith is essentially Johnson’s clone, a 6’4” glue guy who’s canned his fair share of clutch shots this tournament. The matchup to track is Aaron Craft, far and away best perimeter defender in the country, and Taylor with his athleticism and quickness. 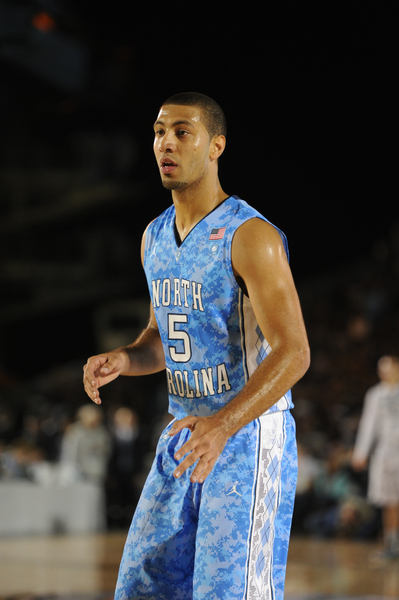 Taylor went 1-of-4 from the floor with six turnovers guarded by Craft in their December meeting. Slight Edge: Ohio State. Frontcourt- Equally tantalizing are the frontcourt matchups: DeShaun Thomas and Jared Sullinger vs. Jeff Withey and Thomas Robinson. Thomas is the leading scorer in this year’s NCAA Tournament, a versatile southpaw who shot a phenomenal 61 percent from two and has never met a shot he didn’t love. That irrational confidence is to Thad Matta’s benefit on the offensive end, but the kindest way to describe Thomas’ defensive effort is the anti-Aaron Craft. It’ll be interesting to see if Self shows some triangle-and-2 or zone so Robinson or Withey don’t have to chase Thomas around the floor. The scenario is similar to when Kansas faced Missouri’s four-guard attack, but there’s no Matt Pressey on Ohio State you can leave unguarded. The one-on-one scrap we all want to witness is Sullinger vs. Robinson. According to Synergy and Luke Winn’s tournament blog, Sullinger is much more efficient away from the block than Robinson. The Buckeye star is fully capable of utilizing the mid-range jumper he perfected last summer, while Robinson is a superior overall rebounder. Withey actually posted a higher block percentage than Anthony Davis, but isn’t much of a low-post scoring threat outside of dunks and put-backs. Slight Edge: Ohio State. Bench- Much like Louisville and Kentucky, the bench simply isn’t a major factor for either side. Remember 2012 the next time somebody denounces a team’s Final Four chances because of their lack of depth. While Matta has always rejected using more than six or seven players, backup big men Evan Ravenel and Amir Williams simply holding the fort while Sullinger was on the bench for 13 minutes during the first half of Ohio State’s regional final win over Syracuse may have saved their season. It’s doubtful that Williams, backup point Shannon Scott or backup wing Sam Thompson will see more than a few minutes combined because of the stakes, unless of course foul trouble is a factor. Kansas doesn’t have a bench due to a combination of early entries, recruiting whiffs and graduation, an obstacle that renders the job Self did this season even more remarkable. Connor Teahan has the reputation of a solid shooter, but he’s canned only 34 percent from deep on the season. Kevin Young will spell Robinson or Withey. His 6’8” frame is actually a better matchup opposite Thomas. Slight Edge: Kansas. North Carolina: No Marshall means no title. Anthony Davis and Draymond Green are in the conversation, but Kendall Marshall is the most indispensable player in this tournament. His impact goes much further than the remarkable 9.8 assists per game or better than 3:1 assist-to-turnover ratio. Marshall is an absolute maestro conducting Roy Williams’ patented fast break, high octane offensive attack. The sophomore point guard finds Tyler Zeller sprinting from rim to rim for layups and always delivers the ball on time to Harrison Barnes or Reggie Bullock off screens. His broken wrist is doubly devastating because of the lack of options at the position behind Marshall. Guards Leslie McDonald and Dexter Strickland are both on the shelf with torn ACL’s, leaving unheralded Stillman White as the Heels top option if Marshall is sidelined. That may be sufficient to beat Ohio, but Kansas or even NC State is a different story. Ohio: I now understand why teams tried to poach D.J. Cooper. A New York Times report indicated that Baylor coach Scott Drew attempted to convince Cooper to leave Athens and transfer to Baylor following his team’s monumental upset of Georgetown in the 2010 NCAA Tournament. Cooper dismissed the overtures, opting to remain loyal to John Groce and Ohio rather than jump ship. His patience has been rewarded to the tune of a Sweet 16 berth after upsetting Michigan and South Florida, an effort led by Cooper’s combined 40 points and 12 assists. Cooper and his brilliant backcourt mates Walter Offutt and Nick Kellogg now prepare for their VCU over Kansas or George Mason over Connecticut moment when the Bobcats face with North Carolina on Thursday. Syracuse: The matchup with Wisconsin is less than ideal. All season long, Syracuse has been an absolute menace in transition. Jim Boeheim teaches his guards to seek out steals and, prior to his suspension, Fab Melo’s shot-blocking prowess often acted as the first pass towards a layup on the other end. Without Melo’s services, the front line of Syracuse’s zone isn’t quite as aggressive, while fast break points will come at a minimum against a Bo Ryan-coached team who has finished in the top five in turnover percentage in each of the last four seasons. Forcing fewer turnovers coupled with an opponent who fumbles the ball once in a full moon is a discouraging combination. The Orange will be forced to leave their comfort zone and execute at a slower pace in the halfcourt to advance. Look for a heavy ball-screen attack with Dion Waiters and Scoop Jardine. Wisconsin: They need a plan against a zone defense. Vanderbilt switched to a 2-3 zone with about three minutes to play on Saturday and Bo Ryan’s crew didn’t seem to have a clue, passing the ball around the perimeter before chucking a deep, contested three late in the shot clock. Wisconsin certainly has the gunners at every position to drain their fair share of shots from downtown, but if Wisconsin wants to avoid long rebounds and a plethora of transition points for the Orange the other way, they’ll need to expand their repertoire against the zone. Ryan Evans or Josh Gasser don’t exactly have a lot of experience operating in the middle of that type of defense. Bo Ryan will need to cook up an effective plan in the next three days. After losing the last two seasons to rival UCSB in the Big West final, the 49ers’ four key seniors – led by electric point guard Casper Ware – will be extra motivated to capitalize on a long-awaited opportunity. 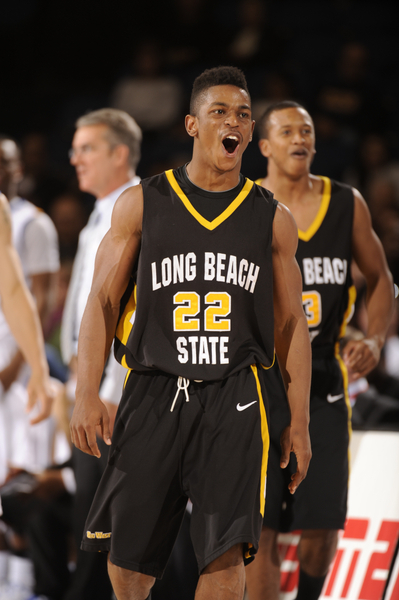 The committee didn’t do Long Beach any favors pairing them with New Mexico, an extremely deep and talented team who tied for first in a competitive Mountain West and then ran roughshod over UNLV and San Diego State in the league tournament. The Lobos rank 13th in the nation in defensive efficiency and surround walking double-double Drew Gordon with exceptional shooters Tony Snell and Kendall Williams on the perimeter. They should prove a fascinating matchup for an experienced Long Beach squad who doesn’t fit the profile of your typical mid-major. Dan Monson’s team has athleticism across the board – including the last two Big West defensive player of the year winners in Ware and wing Larry Anderson, who is questionable with a knee injury – and shoot an effective 52 percent as a team from inside the arc. The Shockers are flying a bit under-the-radar due to their surprising semifinal loss to Illinois State in the MVC tournament, a rare slip-up which shouldn’t overshadow a 27-5 season in which Wichita did not lose a single game by double figures. Gregg Marshall’s team is extremely balanced and efficient on both sides of the ball, buoyed by the outside shooting prowess of point guard Joe Ragland (50 percent from deep in 114 attempts) and lock down wing defenders Toure Murry and Ben Smith. The key to handle Shaka Smart’s patented “havoc” full-court pressing defense is to limit turnovers and force the Rams to defend Ragland and versatile seven-footer Garrett Stutz in the halfcourt. Wichita only turns it over on 18 percent of their possessions which ranks in the top 50 in the country, an intriguing contrast to a VCU pressure that leads the nation in both turnovers forced and steal percentage. Zach Hayes is RTC’s official bracketologist. Last Four In: NC State, Seton Hall, Texas, BYU. First Four Out: Drexel, Mississippi State, Miami (FL), Washington. Automatic bids: Vermont, St. Bonaventure, Florida State, Belmont, Missouri, Louisville, Montana, UNC-Asheville, Michigan State, Long Beach State, VCU, Memphis, Detroit, Harvard, Loyola (MD), Ohio, Norfolk State, Creighton, New Mexico, LIU Brooklyn, Murray State, Colorado, Lehigh, Vanderbilt, Davidson, Lamar, Mississippi Valley State, Western Kentucky, South Dakota State, Saint Mary’s, New Mexico State. Bids per conference: Big East (10), Big 12 (6), Big Ten (6), ACC (5), SEC (4), Mountain West (4), Atlantic 10 (4), West Coast (3), Conference USA (2), Missouri Valley (2), Pac-12 (2). Last Update: Saturday, March 10, 11:14 PM ET. NC State drops two spots on the S-Curve out of the NCAA Tournament field, moving Seton Hall in. The reason: NC State’s neutral court win on Friday over Virginia and sweep of Miami decreased in value in the last 24 hours. Virginia plummeted to a #52 RPI and Miami dropped out of the projected field following their loss to Florida State and Durand Scott’s ineligibility. Colorado wins the Pac-12 automatic bid and will likely be a #13 seed in the field. Arizona is not on the bubble. Ohio replaces Akron as the MAC auto bid. The final #1 seed will come down to the Big Ten Tournament final, so the committee may have two different brackets prepared in case either Michigan State or Ohio State emerge victorious. I believe the winner will surpass Kansas for the last #1 seed in the Phoenix region as the champion of both a share of the regular season title and the tournament title of the top conference in college basketball. Kansas beat Ohio State, but that game was played in Lawrence without Jared Sullinger, a fact the committee should consider. New Mexico jumps to a #6 seed with a share of both the regular season MWC title, conference tournament title and two wins against UNLV and San Diego State. On the back of a solid RPI/SOS and the huge win over North Carolina, the Rebels are also a #6 seed. Last Four In: Mississippi State, Seton Hall, Drexel, Texas. First Four Out: NC State, Miami (FL), Washington, Oral Roberts. Automatic bids: Vermont, Xavier, North Carolina, Belmont, Missouri, Louisville, Montana, UNC-Asheville, Michigan State, Long Beach State, VCU, Memphis, Detroit, Harvard, Loyola (MD), Ohio, Norfolk State, Creighton, New Mexico, LIU Brooklyn, Murray State, Colorado, Lehigh, Kentucky, Davidson, Lamar, Mississippi Valley State, Western Kentucky, South Dakota State, Saint Mary’s, New Mexico State. Bids per conference: Big East (10), Big 12 (6), Big Ten (6), SEC (5), Mountain West (4), ACC (4), Atlantic 10 (3), West Coast (3), Conference USA (2), Missouri Valley (2), Colonial (2), Pac-12 (2). Last Update: Friday, March 9, 11:59 PM ET. Kentucky clinches the #1 overall seed following Syracuse’s loss to Cincinnati. The Orange only drop one spot to #2 overall on the S-Curve and will still be headed to the Boston region. Kansas drops behind North Carolina on the S-Curve following their loss to Baylor and could drop behind Duke or Michigan State depending on the results of their respective conference tournaments. Baylor had one glaring void on their resume: the lack of an RPI top-25 win. That’s no longer the case following their breakthrough win on Friday over Kansas. The Bears still may have trouble jumping up to a #2 seed even if they emerge victorious in the Big 12 Tournament championship because of two previous losses to Missouri and Ohio State’s run in the Big Ten Tournament. Cincinnati jumps to a #6 seed following their win over Syracuse. The Bearcats have a host of quality wins: Syracuse, Marquette, at Georgetown, Louisville, at Connecticut, Notre Dame. They’re also anchored by a horrid RPI/SOS and non-conference SOS. Where they’ll be seeding is really difficult to pin down. Xavier remains in the field after edging Dayton in the A-10 Tournament. That result also eliminates the Flyers from at-large consideration. Marshall jumps into First Four Out territory but tomorrow is still a win-and-in, lose-and-out scenario. Miami barely stays in the field despite their loss to Florida State and only three top-100 wins. The Canes are carried by their huge victory at Duke and a home triumph over FSU. Their RPI/SOS is also superior to Seton Hall, whose best wins all came at home against Georgetown, Connecticut and West Virginia, plus a neutral win over VCU. Also a determining factor: the Pirates lost to Villanova, Rutgers (home) and at DePaul in blowout fashion in Big East play. This could change if Durand Scott’s availability is still up in the air into Selection Sunday. Last Four In: Miami (FL), Drexel, NC State, Mississippi State. First Four Out: Seton Hall, Washington, Marshall, Northwestern. Automatic bids: Stony Brook, Saint Louis, North Carolina, Belmont, Missouri, Cincinnati, Montana, UNC-Asheville, Michigan State, Long Beach State, VCU, Memphis, Detroit, Harvard, Loyola (MD), Akron, Norfolk State, Creighton, San Diego State, LIU Brooklyn, Murray State, California, Lehigh, Kentucky, Davidson, Lamar, Mississippi Valley State, Western Kentucky, South Dakota State, Saint Mary’s, Nevada. Bids per conference: Big East (9), Big 12 (6), ACC (6), Big Ten (6), SEC (5), Mountain West (4), Atlantic 10 (3), West Coast (3), Conference USA (2), Missouri Valley (2), Colonial (2).